Who knew that canning can be a revolutionary act? 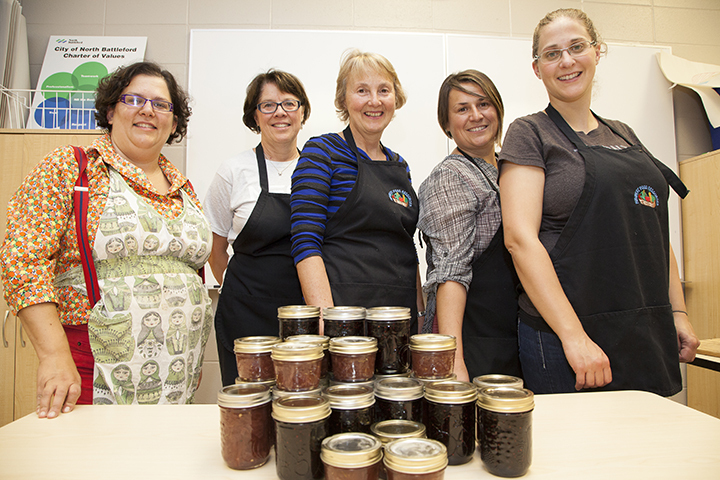 Participants at the Canning and Preserving workshop, held in North Battleford during the Culture Days weekend, learned how the seemingly simple tradition of food preservation can revolutionize the way they eat. 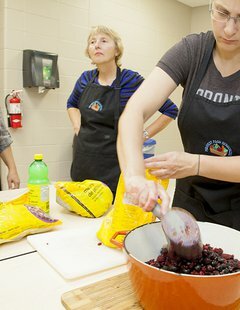 During the three-hour session, the students learned about the technique and science behind the making of homemade jam and preserves. They also learned an important part of their heritage. Freethy grew up in a family who canned and says she didn’t know as a child that you can buy jam in the store. 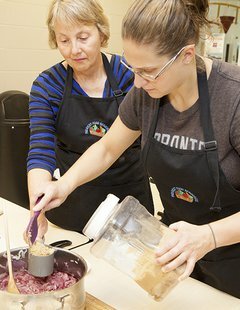 Fa who is from Serbia and currently teaches bread-making, also grew up with mostly homemade food. “What you buy in the store is not comparable with what you make in your oven – the smell, the taste, the experience with your hands. You just can’t compare,” she says. Fa and Freethy both are passing down these traditions to their daughters. One of the benefits of these traditions is that it promotes communal bonding between family members and friends as these activities are often done by groups of women. Freethy says she excited that after the workshop, she’s going home to can 50 jars of salsa with her daughter. 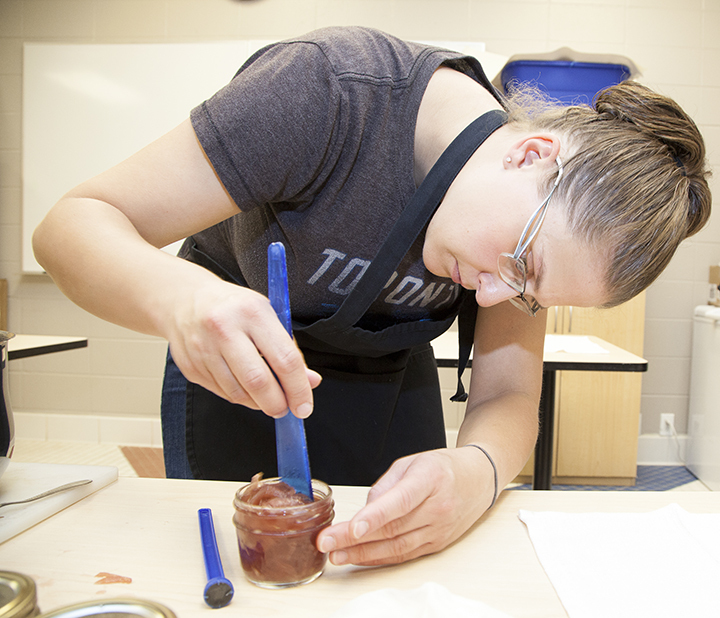 These workshops were held as part of the City of North Battleford’s Culture Days celebration, which received funding from SaskCulture’s Culture Days Funding Assistance Grant.